Guinness World Records, known from its inception in 1955 until 2000 as The Guinness Book of Records and in previous United States editions as The Guinness Book of World Records, is a reference book published annually, listing world records both of human achievements and the extremes of the natural world. The brainchild of Sir Hugh Beaver, the book was co-founded by brothers Norris and Ross McWhirter in Fleet Street, London in August 1954. Sir Hugh Beaver, the managing director of the Guinness Brewery, was part of a hunting party in 1951. There, all the hunters had an argument regarding the fastest game bird in Europe. Everybody had a different answer and they were unable to find the correct answer in any reference book. In 1954, Sir Hugh Beaver recalled this argument and embarked on a journey to create a book that would help settle similar pub arguments. He invited twin brothers, Norris and Ross McWhirter, to compile the book of facts and figures. The McWhirter brothers were fabulously fanatical fact-finding researchers. After an initial phase of research, the brothers sat down to compile the book. Little did they know that they were creating one of the most famous books in the history of mankind. 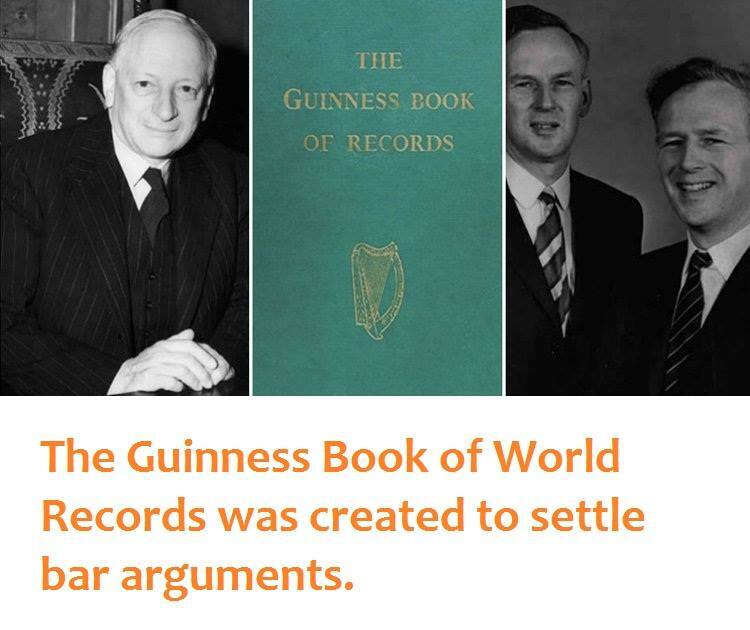 It has been over 60 years and the Guinness Book of World Records continues to be the best seller every year.